High quality electrical installations at a price that won’t come as a shock! Simon Waite has been working as an electrician for over 20 years, in that time gaining loyal customers who come back again and again. 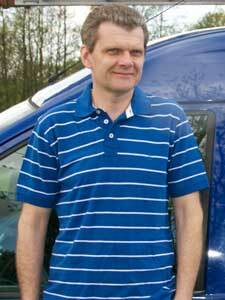 Simon will be happy to visit you to discuss your requirements for a no obligation survey and quote. We are proud to be accredited members of the NICEIC. This gives you the assurance that our work meets and exceeds industry specifications for safety and quality. We can carry out Portable Appliance Testing (PAT Testing) for businesses, organisations or rental properties. We can also test existing electrical installations for new home or prospective home owners to British Standards BS7671. All other aspects of electrical contracting can be undertaken, including emergency and urgent work and repairs. To find out how Simon Waite Electrical can help you, please get in touch.